Last year, we discarded some Halloween pumpkins on our acreage hoping the local birds and wildlife would enjoy a tasty fall treat. They did. 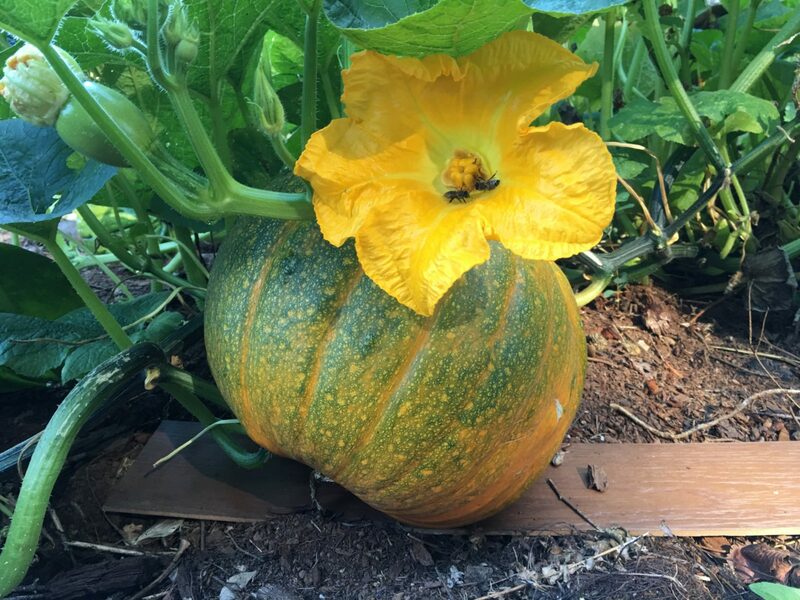 However, they didn’t get all of the seeds as this Spring we noticed a volunteer pumpkin patch growing on small hill in the backyard. Loamy, well-drained soil is a perfect environment for gourd growing. Once the pumpkins reached a certain stage, the critters came calling. We had to create wire caging to protect them from nibbling teeth. The only other assistance from us, a couple of deep waterings during a particularly dry spell. Soon it will time to harvest our volunteers and showcase them on our porches for seasonal display.